Traffic fatalities continue to grow at an unusual clip, but safety regulators say they have a "zero fatalities" plan that they think will eliminate traffic fatalities completely. The catch? It won't happen until 2046. Lately, of course, there has been much discussion -- call it hype if you must -- about how autonomous cars will virtually eliminate accidents, most of which are caused by human error. This assumes that everything works perfectly and that the "blue screen of death" remains a metaphor and not a reality. Whatever happens in 2046, the situation today is bad and seems to be deteriorating. The National Highway Traffic Safety Administration (NHTSA) said Wednesday that traffic deaths rose 10.4% in the first half of this year, a sharp increase on top of a last year's big increase, which was the largest since 1966 and seemed to take safety experts largely by surprise. NHTSA chief Mark Rosekind calls it "an immediate crisis" while holding out the "zero fatalities" plan for the future. To put some raw numbers against the percentages, more than 17,700 people died in traffic accidents in the first half of this year, far outpacing the 3.3% increase in miles traveled. In fact, NHTSA may be under-counting actual fatalities, safety advocates say. "NHTSA’s Fatality Analysis Reporting System (FARS) is supposed to be a census of fatal motor vehicle crashes but it is not," Clarence Ditlow, director of the Center for Auto Safety, said in a recent letter to Rosekind. "The National Safety Council historically comes up with 2,000 more motor vehicle deaths each year." Why the difference? Ditlow says it's partly because NHTSA doesn't count certain off-roadway crashes or deaths that occur beyond 30 days after the crash. It was only recently that NHTSA bgan counting all of the traffic fatalities that were caused by drowning. "Until August 10, 2011, NHTSA insisted there were only 3 to 5 drowning deaths each year but was then forced to admit that there were actually 384 deaths each year on average," Ditlow said. How can there be so many fatalities with all the new safety gear on cars? Well, the good news is that the absolute number of traffic deaths is down from a decade or so ago. In the first half of 2006, ten years ago, there were 20,500 fatalities despite there being fewer miles being driven. 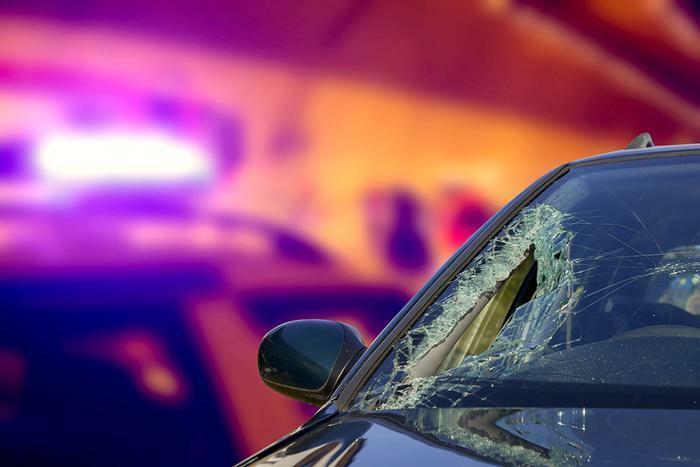 But what concerns safety officials and consumer groups today is that deaths have been moving up sharply the last year or two despite all the airbags, backup cameras and electronic stability control. The most commonly heard theory is that drivers are distracted by all the new gadgets in their cars -- smartphones, GPS, screwball entertainment consoles, and even self-driving features. There have, after all, already been cases of drivers being killed when their cars crashed while in self-driving mode. Drunken driving has traditionally been cited as a major factor in crashes, with distraction running a close second. Not much mentioned in official circles is the increased speed and congestion on the nation's highways, and the daredevil driving that seems to be encouraged by today's zippier, fun-to-drive cars. Drivers on Interstate 95 and the New Jersey Turnpike routinely cruise along at 90 while swerving in and out, tailgating and playing virtual bumper tag. It's not uncommon today to see traffic accidents in which cars are completely destroyed, leaving only scattered debris that looks more like an airplane crash than a traffic accident. Crashes at 90 miles per hour are simply not survivable in most cases, no matter how much safety equipment is latched onto cars. This line of thinking is more prevalent at the local and state level, where officials are perhaps closer to the day-to-day carnage than their Washington counterparts. At a recent Transportation Department conference, mayors suggested that, along with all the technological gee-whiz solutions, it might be worthwhile to partner with the Justice Department to boost enforcement of traffic laws and stiffen penalties. Insurance companies could also be encouraged to reward drivers who take safe-driving refresher courses, the local officials said. As a group, younger drivers continue to have the highest risk of dying, even though they tend to drive less than their elders. Because of inexperience, distractions, and perhaps a dose of adolescent bravado, teens are involved in three times as many accidents as drivers over the age of 20.